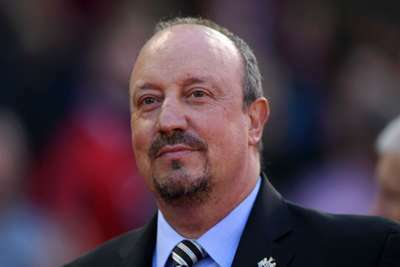 Rafael Benitez remains the trailblazer for Spanish coaches in England and knows the Premier League "perfectly", according to Arsenal head coach Unai Emery. Emery takes his side to face Benitez's Newcastle United, chasing a third consecutive win on Saturday. It will be only the second time the compatriots have met during their coaching careers, with Emery steering Sevilla to a 3-2 win over Real Madrid during Benitez's brief and ill-fated stint as Santiago Bernabeu boss. But in a Premier League where Pep Guardiola is the reigning champion, Benitez's exploits with Liverpool in the middle of the last decade plotted a path for his countrymen that Emery was keen to acknowledge ahead of his trip to St James' Park. 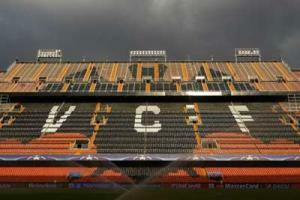 "He is the first Spanish coach who started working here, in 2004 I think," he told reporters. "He knew he best performance with a lot of teams – above all with Liverpool when he was the coach there. "Now I know Benitez, he is a very, very competitive coach. His teams usually also are very competitive. "Newcastle in their stadium are, with the supporters, very strong." After Newcastle, Arsenal will turn their attentions towards the Europa League and an opening group fixture against Ukrainian Premier League side Vorskla Poltava. Emery won the competition in three consecutive seasons with Sevilla and does not plan wholesale changes for round robin matches, as was the case for Arsenal under Arsene Wenger last season. "Now it is very important for me to think first about the match in Newcastle, to get the three points. Then we are going to think the same for the Europa League," he added. "My idea isn't to change 11 players from one competition to the other competitions. "Then each match is giving us information about how we can play in the Premier League, the Europa League and the Carabao Cup. "Now I want to win on Saturday, I want to win on Thursday, I want to win next Sunday. "We are looking forward to playing every match and thinking only of the best performance."